Described by his clients as an attorney of the “highest quality” who goes “above and beyond” for those he represents, Jeff DeFrancisco, Esq. has made a career out of providing the very best service for his clients throughout Upstate New York. 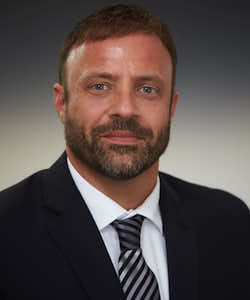 As a lifelong resident of Central New York, Jeff DeFrancisco has earned a reputation of being a top attorney in his field, dedicated to representing only plaintiffs in personal injury and medical malpractice claims. Mr. DeFrancisco has achieved some of the best results known in Upstate, New York with 2 verdicts approximately $10,000,000 each. Mr. DeFrancisco clearly has extensive experience handling large injury cases as shown on the verdicts and settlements. Due to his dedication to the field of personal injury, he has access to medical experts in virtually every area of medicine for consultations and trial purposes, whether it be for medical malpractice or medical expert testimony for other personal injury cases. Mr. DeFrancisco has also worked with accident reconstruction experts, OSHA experts, and engineers for his non-medical malpractice cases. Depending on the type of injury and its permanency, Mr. DeFrancisco frequently uses economists, life care planners and vocational experts to determine the extent of economic losses for his clients along with the need for future medical care. Regardless of your injury, Mr. DeFrancisco has the knowledge, experience, and resources necessary to assist in providing you fair and reasonable compensation for your injury.